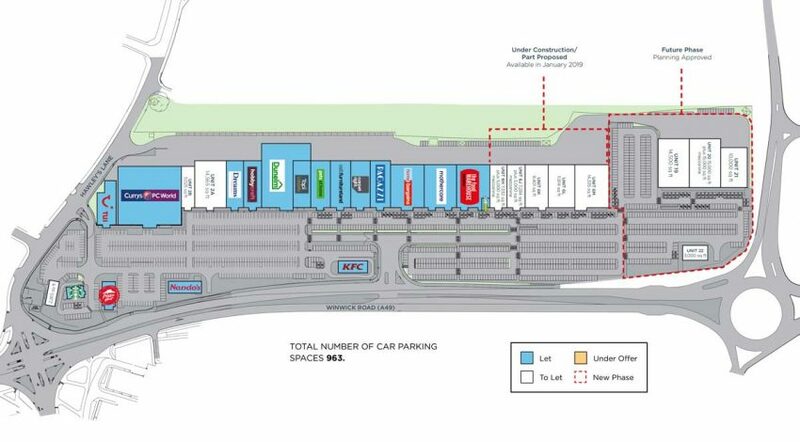 The newly redeveloped and renamed JunctionNINE Retail Park is a major 24 unit scheme, situated in the heavily populated catchment area along the A49 prime route from Warrington city centre and Junction 9 of the M62. With one of the longest retail park frontages in the UK, the scheme houses a variety of tenants across the retail spectrum. These include Home Bargains, Currys, Dreams, Mothercare, Pizza Hut, the Food Warehouse and KFC. A total rental space amounting to 188,000 sq ft, with a further 50,000 sq ft under development. 963 free car parking spaces.